Global warming is changing the climate patterns that all living things have come to rely upon. While we are powering our modern lives, wildlife such as the polar bear is struggling to keep pace. 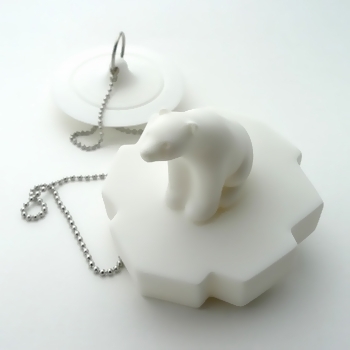 Let the polar bear help you enjoy your warm bath by stopping the water drain and by peacefully floating around. Let him inspire you to take some action to help him. It's never too late.